The Texas Rural Schools Conference is about collaborating with fellow educators who work in rural schools to share successful strategies for this unique educational setting. 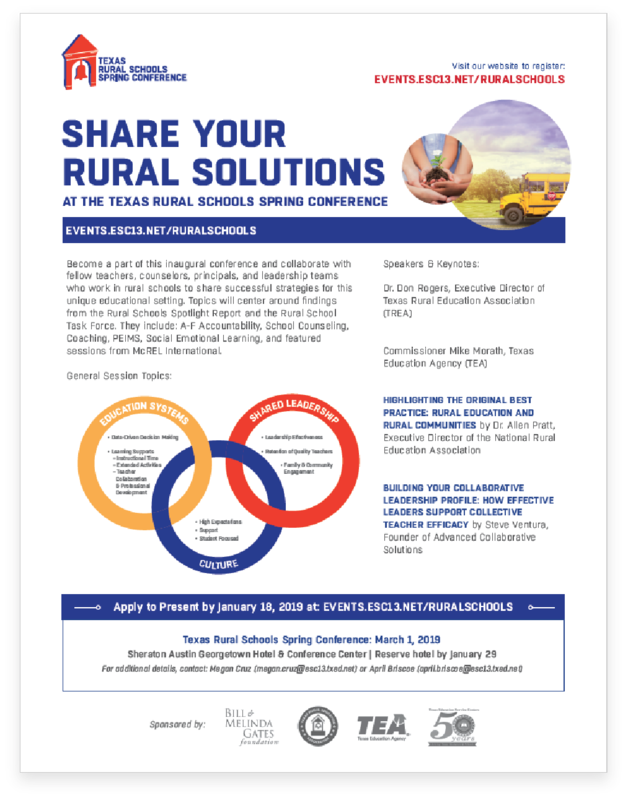 Participants will engage with high interest topics centered around findings from the Rural School Task Force and leave with innovative tools and strategies for immediate application in their campus or district. Use the materials below to spread the word about the 2019 Texas Rural Schools Conference. 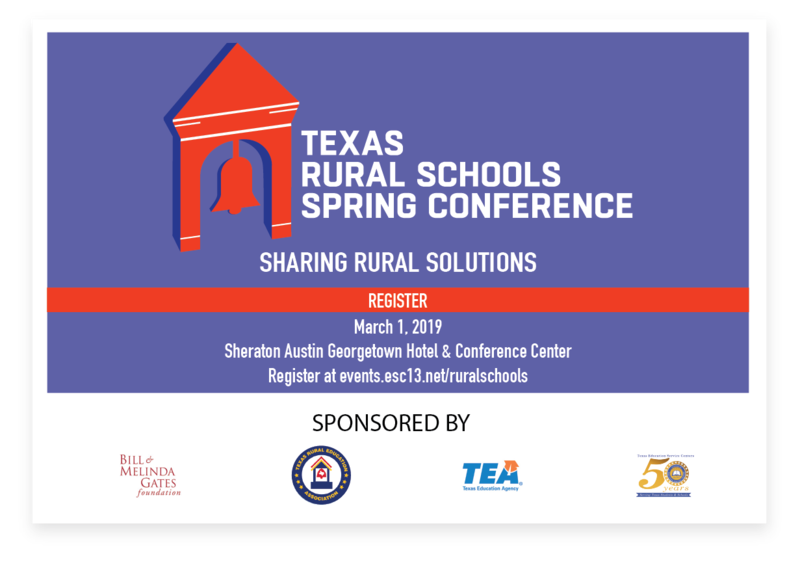 Texas Rural Schools has a distinguishable logo that can be used on print or web based materials to market the conference. The Texas Rural Schools postcard can be printed on letter sized paper (2 per page). The Texas Rural Schools flyer can be printed on letter sized paper or used as a pdf. attachment.